Social media is sometimes reviled for driving unsociable behavior and for reducing human connections. But there are times when social media can exhilarate, connect people from different parts of the world, over something totally unexpected. 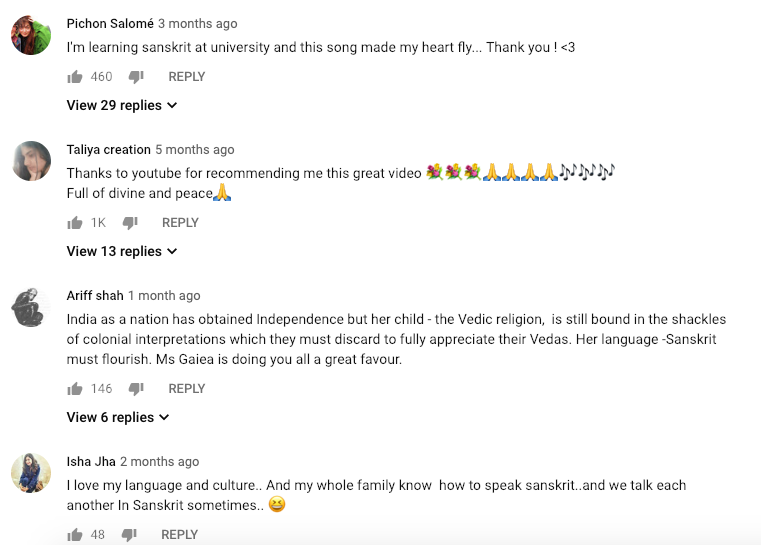 A brilliant recital of ‘Shuddhosi Buddhosi’ – a set of verses from the Markandeya Purana which Queen Madālasā sings to her new born son (composed in Raag Kafi) – performed by Gabriella Burnel, a Sanskrit student and musician, who was commissioned to set to music & sing the verses by the School of Practical Philosophy in Australia, has gone viral with over 1 million hits on YouTube. The film is a video-recording of the final audio session in the London studios. The song is part of the Madālasā Upadesa, or teachings of Madālasā. There are 8 verses of beautiful Sanskrit. 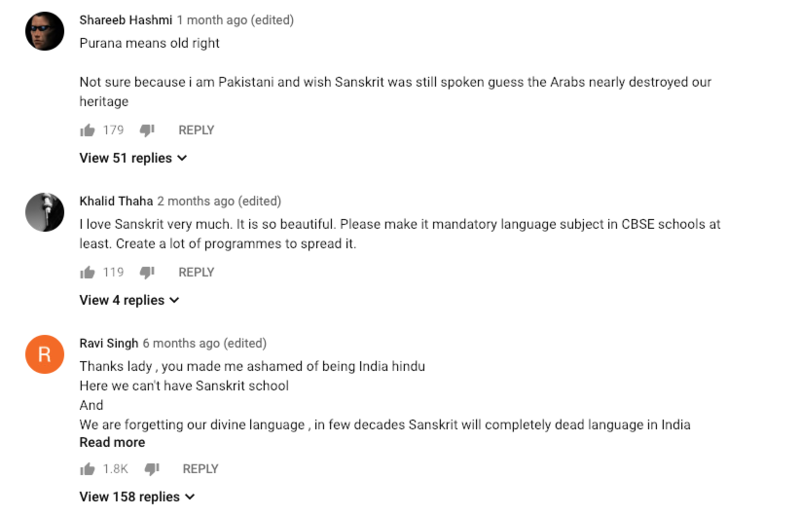 The comments posted below the video show how the spiritual profoundness expressed in our shastras, and the beauty of the Sanskrit language, can connect people from different corners of the globe, and how tragically Hindus of Bharat have been discouraged from connecting with our own civilizational heritage. Here’s hoping that those of us lucky enough to born in the land of Dharma – Bharat – realize the worth of the treasure we have inherited and come out of the self-denial and self-loathing imposed on us by our own colonized elites.